Poynton High School recently held their first Student Development Day, a day created to cater for students’ personal wellbeing and development. The whole day was an opportunity for students at the school to take part in activities that wouldn’t fit into a traditional teaching day at school and allow them to focus on issues that affect them. Key Stage 3 students had the theme of Relationships- with Year 7 students concentrating on the theme of Friendships in a New School, Year 8 the theme of Positive Friendships and Year 9 Emotions and Relationships. Year 8 also had a talk given by local PCSO’s on Positive Relationships and Year 9 had a talk from the police on Child Sexual Exploitation. 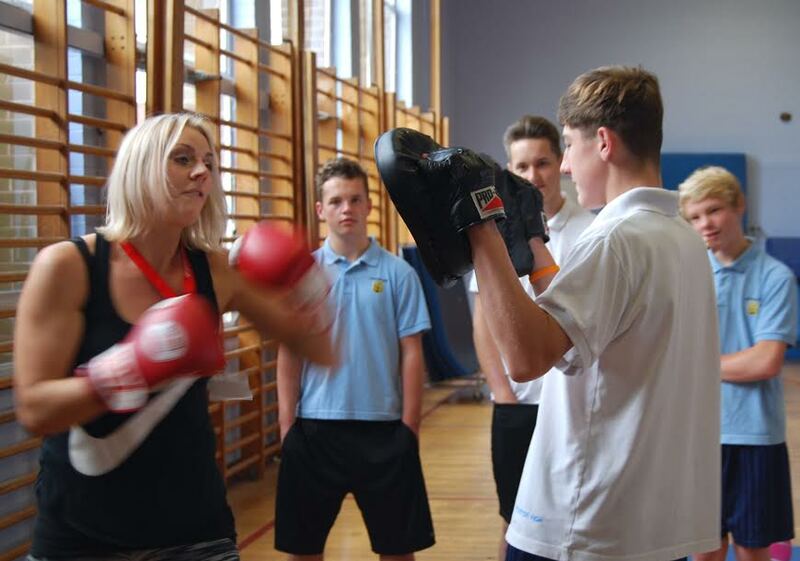 Key Stage 4 students looked at Health and Wellbeing and their activities included Study Skills, Food and Nutrition, Pilates, Circuit Training, Boot Camp, Golf and Yoga. Over 45 visitors were in school for the day including local businesses, the police, local golf instructors, youth workers, nurses, Stockport Mind, Connexions, Puregym of Stockport , Shrigley Hall, Everybody Sport and Recreation and Able2 Physiotherapy and Pilates. All students were off timetable all day for the first of 6 Development Days the school has planned for the coming year. “The day was a huge success, providing students with an alternative, interactive and engaging day of education, we would like to thank all of our partners who gave their time”. said David Waugh Head Teacher of Poynton High School. Pictured is Marie Mitchell from the Leisure Club at Shrigley Hall Hotel with students from Year 11.